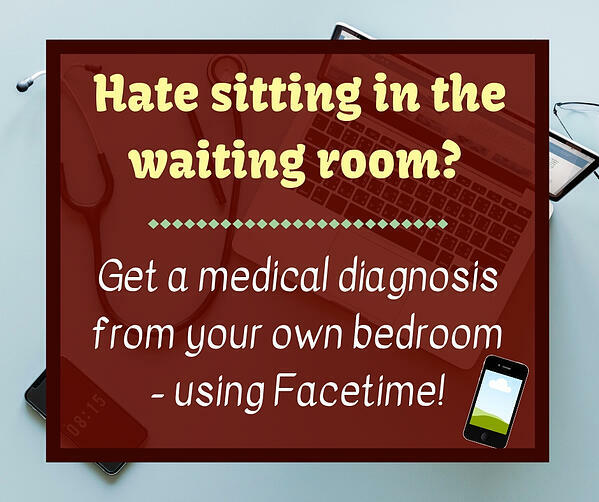 Get a Medical Diagnosis Using Facetime! In a technology-driven world, convenience is becoming a key decision factor for consumers. General Practitioners are tapping into that market by offering basic consultations via Facetime and other forms of video chat. This allows patients who are out of town or don’t want to go into an office, to receive a medical diagnosis from wherever they are. It’s becoming fairly common, especially amongst the younger generations. Read more by clicking the button below.